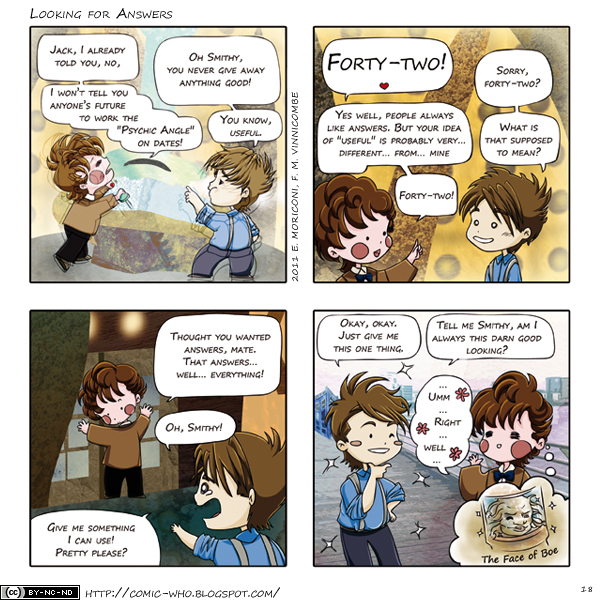 Last week we celebrated the winner of our contest Jonathan Hodges with his The 12th Doctor, instead this week we have realized the strip for the Fan Choice Award. Our friends on Facebook voted for their favorite script and here is the result. Congratulation to Faith Marie Vinnicombe!!! Now we can finally say that the contest is really over, but there is still another little surprise for you, also don’t forget that next week we will have our first Comic Who Confidential, with a guest writer and a little cross over! Stay tuned!! !